Signs point to Eric Ayuk heading to Turkey to join Trabzonspor. His departure would free up an International Roster spot. Earnie Stewart feels he is leaving before his job is done in Philadelphia. 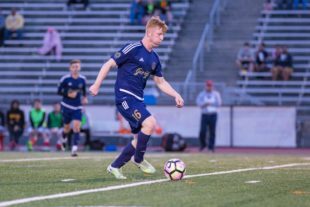 Reading United squeaked past The Villages SC, winning 1-0 to advance to the PDL Final where they will face Calgary Foothills FC. Bethlehem Steel FC showed Georgia what a real academy team looks like, beating Atlanta United II 4-1. Penn FC went down to The Queen City to draw Charlotte Independence 1-1. Still nothing official, but it looks like Fernando Adi will be heading to Cincinnati, where he will likely be a cornerstone of their first MLS season next year. Zlatan Ibrahimović of the LA Galaxy has opted to not play in the 2018 MLS All Star Game. Wayne Rooney scored his first goal for DC United, propelling them to a 2-1 victory over the Colorado Rapids. Then he broke his nose. Total MLS is no more. The Denver Post thinks the Rapids are the worst team in MLS. They might be right. LAFC is already raising ticket prices. The unbelievably good North Carolina Courage beat European powerhouse Lyon to become the first ever Women’s International Champions Cup winners. The Women drew against Australia on Sunday night, leaving the teams tied in the Tournament of Nations Standings on points and goal differential, with the US “winning” the tournament only by virtue of goals for. This makes Thursday’s game against Brazil especially important. Also if you missed Alex Morgan being amazing in the earlier game against Japan, you should probably catch up. Rumors continue to swirl about where Christian Pulisic will play this season even though it’s never been confirmed that he’s leaving Dortmund. And with the fee Dortmund are expecting, teams will have to really want him. Portugal beat Italy in extra time to become the U19 European Champions. Well, at least Neil Patrick Harris is trying. Everything depends on the way MLS handles the Crew to Austin situation. If the league lets Precourt pull up stakes, move to Austin and shutter the Crew, it will lose significantly. All of the authentic club cultures they’re trying so desperately to manufacture will take a lethal hit. If the league signed an agreement that gives Precourt an out, than it has to let him out, but he should not be allowed to take the team with him. Give him a new franchise license and find a new owner for the Crew. I can’t for the life of me understand what Mourinho is trying to accomplish with his sad and grumpy bear routine. He’s just taking a piss on everything. ICC, his young players, his ownership, football in general…. Is he really this miserable? Or is it just a troll? I completely agree with your Crew statements. The reason I follow soccer more than others sports is that it’s supposed to be about community, that the fans and the team have connection more than just money. If it’s all about money that’s fine. But I’ll spend my money elsewhere until the Union put a Top 6 MLS team on the field or change the stadium location to a spot easier for me to get to on public transit. The main appeal of the team at this point is the culture fans are building in spite of the league, I’m really not that entertained for the money I’m paying out. I think Mourinho just wants the ICC to go away. It’s a lot of travel and extra wear on legs for some pointless friendlies. The players need to rest at some point. i imagine Garber throwing stuff across the room over Zlatan not being at All Star Game, knowing he can’t do anything about it. speaking of Zlatan, unlike some ridiculous retirement league imports, this guy’s lighting it up. Hard to argue Zlatan’s impact… but in fairness, the defending on his 3 and the Rooney goal was so freaking bad it’s actually an indictment on the league. Anyone know if Juventus is playing their top player? Maybe this is just to help even things up. Is CJ Sapong (statuesque) the reason David Accam can’t get or couldn’t get off? 3. Make a diagonal run toward the corner when close to the 18 in order to drag a defender out and open space in the middle for Accam to enter and shoot. Accam had good numbers last year because Nikolic is a quality striker that teams have to respect. Sapong is not. I think one way to get more out of Accam is to sit Sapong, insert Burke, and push Accam more toward the middle more like a second striker underneath Burke. Burke can hold the ball better than Sapong right now, and moving Accam closer to Burke would let the two of them combine more and have 2v2 rather than having Accam isolated on the wing in a 1v1(where he hasn’t succeeded this year). It would give Burke a closer option when he gets the ball and turns at his defender. And it would get Accam closer to goal to try to allow him to shoot more. No. Accam looked worse than usual Wednesday night when CJ didn’t start. Does Sapong contribute to lack of chances for Accam? Sure, why not. But so does everyone else. In the begining of the year everyone was flooding right and leaving Accam alone. No help. No movement. The past few games he’s been on the right, he still hasn’t found cohesiveness with Rosenberry. I just think he’s a weapon that the coach doesn’t know how to use. And neither do the players. In other news..how could Erik Ayuk play in Turkish first division yet can’t get on field here? Or more to the point how it is Union are paying enormous money on Accam for a same type player to sit bench while the same type player may be playing for a European first team? That’s enough out of the elephant for today. ^ He’s right you know. He barely got on the field for his loan to the Swedish club. Let’s not overstate this. Accam just looks like a bad pickup at this point but he’s been a way better player than Ayuk ever has been. Ayuk still has one more MLS goal in a Union uniform than Accam does…don’t be so quick. Are we really trying to say that Ayuk is the same or better than Accam? Maybe players who do back flips just don’t workout for the Union? In their careers? Absolutely not. In a Union uniform? Ayuk has looked better honestly. The Adi thing is driving me nuts. Assuming Cincinnati offered Portland a crazy package of funny money we couldn’t match… the Union really needed to make that move. If not for at least the end of this season… since he is out of contract (I believe) at the end of the year. I mean I know he’s not the be all end all, but he would’ve helped this team. I stupidly got excited when I saw he was going to an Eastern Conference team. I’ve been around he long enough to know better. Shame on me. I’m fairly certain they have no ear to the ground whatsoever. Your exact sentiment played through my head on repeat in the off-season. I kept on seeing quality players who were affordable being picked up by everybody but the Union. Side-note, FC Cincy did pay 900kGAM to Timbers, so maybe he’s not as affordable – he has a $2mil salary to boot. Doesn’t mean we shouldn’t have been in the running for him though. And Portland May know something, the way Chicago May have known something.